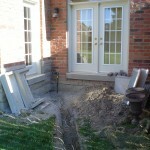 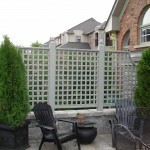 A patio can have a sense of privacy even in a wide open space. 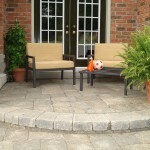 We created a courtyard inspired patio area with low walls that provide ample additional seating. 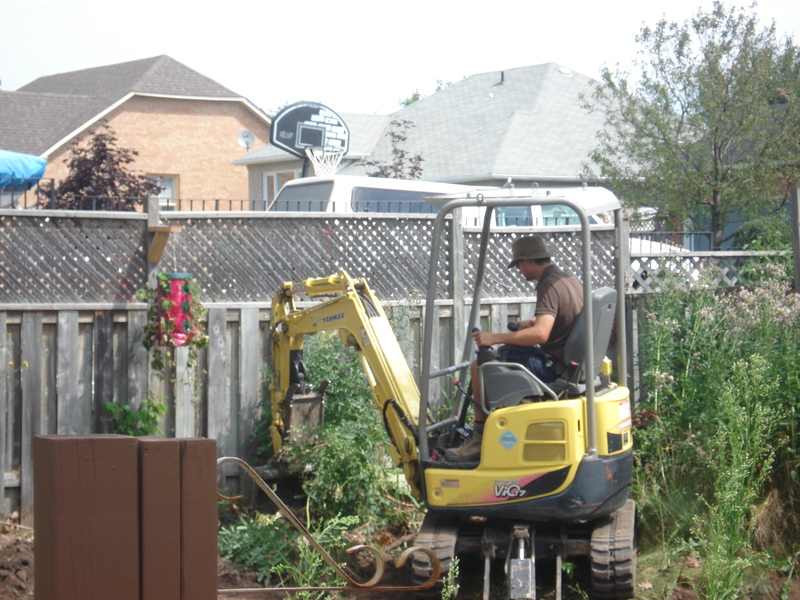 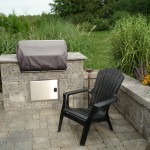 The built-in BBQ, a mainstay in a modern backyard, is a hub of activity as dinner time approaches. 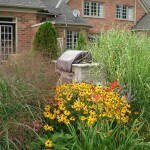 The greenery in the planters as well as the gardens, softens the space and makes guests feel comfortable. 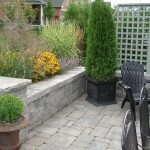 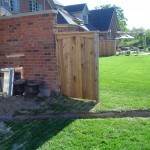 Landscape Elements: interlock patio, seat wall, pillar, wood privacy screen, built in BBQ, garden beds with perennials and shrubs, stepping stones. 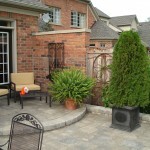 Hardscape Materials: Ardennes Grey Mega-Bergerac Paver from Permacon, Oxford Charcoal Monaco Wall from Permacon, Owen Sound flagstone counter top & pillar caps, pressure treated custom pricy screen.